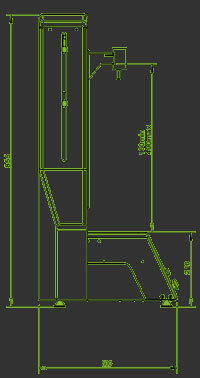 The Springtest 3 model is our latest product development in our pre-configured packages. Based on the Stentor II test stand, it offers a distinct advantage in its advanced features and is a complete, all in one product. Designed to perform force testing on coil compression and tensile springs from 0 to 2.000 N (500 lbs), the Springtest 3 is a versatile and smart system designed specifically for testing in quality control, manufacturing, and R&D areas. The front panel includes the latest Touch series technologies and provides users with a fast, one-step, colors coded results display. Data is collected continuously offering real-time dual measurements and graphs, or 3 measurements (example: force, displacement and stiffness or the force at a displacement value and two other measurements). An easy to use customizable measurement screen allows you to display required test results. 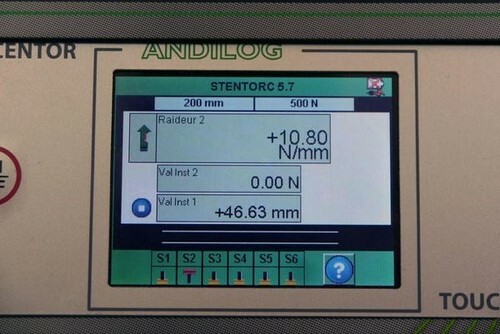 to configure the measurement of the spring's stiffness. 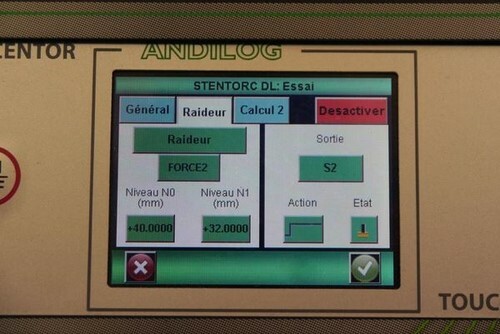 Users specify the two values (spring height) in between which the force measurement have to be done. The Springtest 3 model automatically calculates the spring rate according to the measured force at the two defined values. The Springtest 3 model comes with a 76mm (3 in) diameter self leveling platen. Mounted on a swivel system, the platen allows a fine adjustment of the parallelism between the compression platen and its support. This ensure accurate measurements of the applied force on the spring axis. The adjustment procedure is easy: bring the compression platten in contact with the self leveling platen. 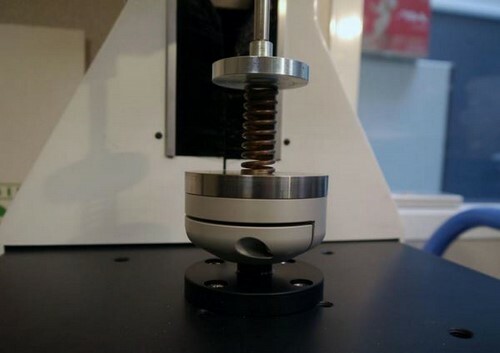 A clamping screw holds the platen in position for the duration of the entire test. Watch the video of the self leveling platen. Fixtures: compression platen (100mm, 200mm), holding pins, tensile hook, safety guard…. 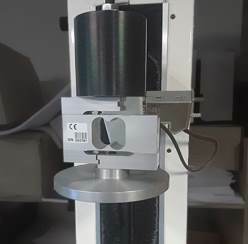 Springtest 3 testers are supplied with a highly accurate force load cell designed to provide repeatable results. The force accuracy is 0.1% of the load cell's capacity with a data acquisition rate of 1.000 Hz. The force load cells are equipped with Plug and Play SPIP technology, which stores all their calibration parameters. 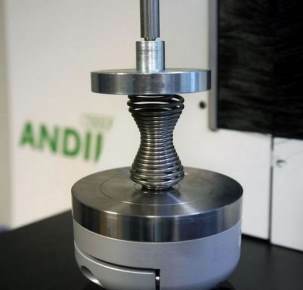 You can swap out a load cell in accordance with your testing requirement; the load cell is automatically recognized by Andilog’s Springtest 3 testers.